My name is Lulu and CaliMiXers is my Mixology Brand . CaliMiXers stands for a multi cultured mobile MiXology brand based on the diversity of California Culture and style . 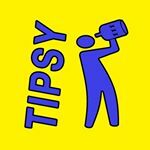 We cater to California for mobile bar events , brand ambassador , bartending lessons , cocktail styling , cocktail consulting , menu creations , signature cocktail crafts , drink recipes , creative cocktails , entertainment , photography , promotions , marketing & social media . Demographic data for @calimixers' audience is available for free to influence.co users.